For some individuals, choosing group therapy can be just as beneficial as choosing an individual therapy program. In fact, there are many benefits gained from group therapy that are simply not available with individual therapy programs. Whether you're dealing with family or marital issues, performance and social anxiety, substance abuse, domestic violence, depression, eating disorders, or a number of other behavioral health issues, group therapy sessions may be the perfect fit for finding success in overcoming these challenges. Probably the most beneficial part of group therapy is the validation it can bring. Being in a group with people who are dealing with the same challenges reinforces the fact that you are not alone in your struggles, and that others are dealing with either similar or the exact same problems as you. It also allows you to listen and share with these individuals, who fully understand what you are going through, in a group setting. Sometimes those close to us have a hard time being able to relate to the specific issue, and trying to help the individual or understand what it's like dealing with these challenges can be very ineffective, as well as frustrating for all parties involved. With group therapy, individuals are also able to validate and address any possible side effects they may have acquired from their particular problem, such as sleeplessness, problems with relationships, new phobias, substance abuse, etc. Talking about these problems with others who experience the same symptoms can bring about a tremendous sense of relief, as well as outside views and ideas as to how to handle these specific challenges. 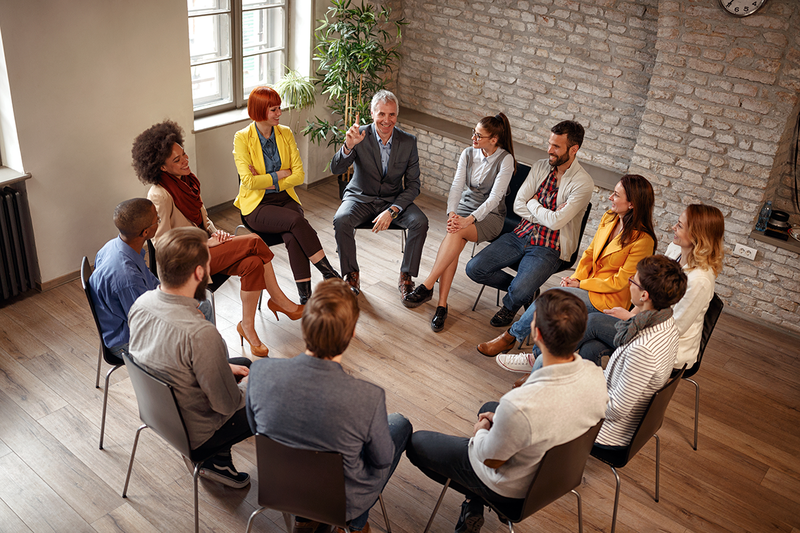 Furthermore, group therapy gives counselors valuable insight as to how individuals react and interact with others in a group or social setting. By monitoring these interactions between people attending group therapy sessions, counselors can gain very valuable information that allows them to identify key areas that need to be addressed on an individual level. These social style interactions with others can be a very vital piece of information for formulating a more complete analysis, which can assist in drafting a more effective treatment plan; a luxury that individual therapy does not provide. Although there are many benefits gained by choosing a group therapy program, it is not always going to be the most effective or appropriate choice for everyone. For example, you will not have the same individual one-on-one attention that an individual counseling program brings. Also, there are times where you might not be able to dive as deeply into a discussion with your counselor during a group therapy session, or at least in the way you would be able to during an individual counseling session. Furthermore, in certain therapy groups there may also be specific topics which may be considered off limits by the group leader, due to the possibility of triggering unwanted effects from other individuals in the group. The safety and personal growth of all group members always has to be taken into account, which sometimes may require the discussion of certain topics to be left out of therapy sessions. Our group counseling sessions are always private and confidential. Our counselors are bound ethically and legally not to disclose any information from group discussions. We also have all participants sign a consent form, and they are told about the confidentiality agreement. Conversations members disclose during sessions are to remain completely confidential outside of the group. We always explain the meaning and importance of confidentiality to each group member, and also do so when new members join the group. At People Inc., our primary objective is to compassionately assist you in the journey of regaining control of your life today, and the life you are looking forward to having again in the future. Learn more about our service and get connected!